Today while waiting over at the Mull having opened up for the rocket crew and recording the event I photographed a gull that was hanging its leg in an odd way a bit like an Osprey. 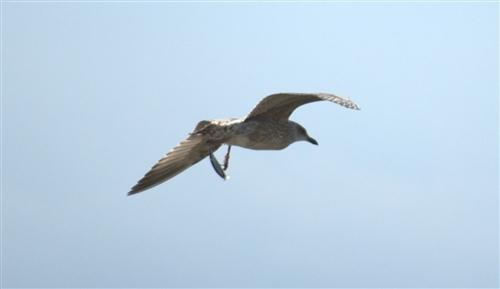 Tonight while compiling the photos I enlarged the pictures and found to my distress that the poor bird had a fisherman's lure hooked in to both its feet. I will not say any more than to ask anyone that knows a fisherman or is a fishermen. 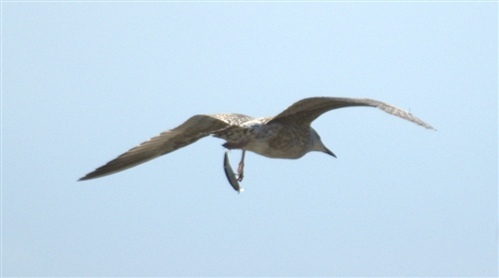 Please plead with them to be careful with tackle and discard it in a correct manner also to use barbless hooks. This bird will almost certainly die as a result. It is not the first time that I and my colleuges have witnessed and I dare say not the last but it is the first time we have managed to get a photo.